IT'S A SIGN, you know: Just another school day.. So guess what we did today? 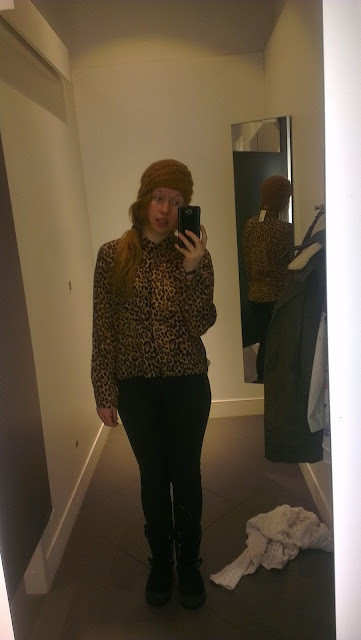 Jup, buying this beanie and panterprint blouse! We really had good intentions to be on time for French.. But that just didn't work out, oops. Oh and also.. First time ever i went to school without make-up..
Inderdaad een hele leuke blouse! Gave blouse en je ziet er prima uit zonder makeup hoor! Have a nice day, have fun!! Thanks for your comment, I write a diary ;) Just love to express myself in words.